The Fate of the Export-Import Bank: Save Jobs or Save money? Now is the time to determine the fate of the Export-Import Bank of the United States. This 80-year-old federal institution was created during Franklin D. Roosevel’s New Deal era and has been helping U.S. companies finance the export of goods to foreign markets. Yet, since 2012, Congress has considered stopping the renewal of its charter. The deadline is coming soon — June 30. What are the key issues and arguments? Some claim that the bank supports less than half of 1 percent of U.S. “small business” and that big companies are the main beneficiaries of the bank. Boeing and General Electric, it is said, can access private financing easily by themselves. 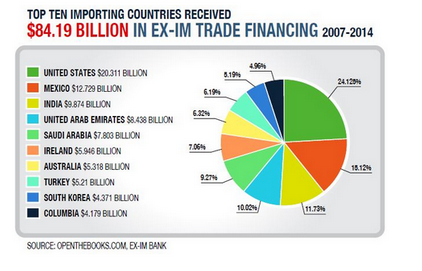 Advocates and objectors have important arguments over reauthorizing the EX-IM bank. Adam Andrzejewski, a Forbes contributor concluded that critics Ex-Im of charge cronyism, waste and outright corruption. His study Federal Transfer Report – Export-Import Bank states that taxpayers have an exposure of almost $140 billion in Ex-Im’s increasing lending. Pemex, which is owned by the Mexican government, is the biggest importer supported by Ex-Im bank, benefiting to the tune of $7.21 billion,. The biggest exporter, Boeing, benefits to the tune of $60 billion and received one third of all export support. So why does Hillary Clinton and some Congressional representatives such as Republican Stephen Fincher, and Democrat Annie Kuster work hard to save the bank? The answer is straightforward – to save jobs! It is ironic to see the possible demise of the bank while president Obama visits dozens of countries to increase sales of U.S. made products and preserve U.S. jobs. Policies such as tax and training benefits for reshoring companies (companies which offshored but now return to America) have encouraged firms to create jobs in the United States. 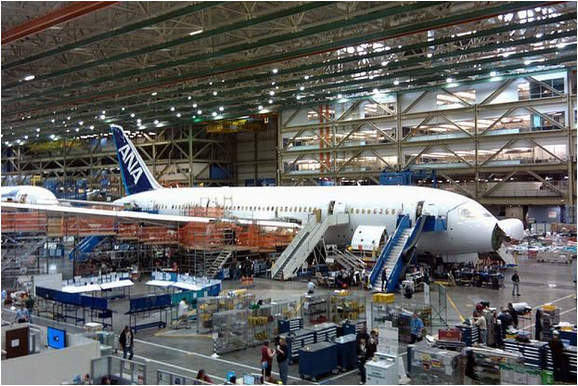 Boeing has been severely criticized in the Ex-Im debate. However, the criticism of Boeing may not be entirely fair. Do big companies like Boeing produce every component for their planes? Or do they buy many parts from small businesses? Competition is not the only relationship between big and small companies, cooperation is more than common. American jobs would be lost with the discontinuation of the bank. This is not the best time to experiment with employment, exports and economic growth. This entry was posted in International Business and tagged bank, exportimport, fate, jobs, Money, save by Michael Czinkota. Bookmark the permalink. In my view, michaelczinkota.com does a good job of covering issues like this! While frequently intentionally controversial, the material posted is more often than not well-written and stimulating. Thanks for another great article. Where else could anybody get that type of information in such an ideal way of writing? I have a presentation next week, and I am on the look for such info. Excellent read. I just passed this on 10/12/2016 to a coworker who has been doing a little research of his own on this topic. To say thanks, he just bought me a drink! So, let me express my gratitude by saying: Thanks for the drink! I and also my pals ended up following the best solutions on your web site and then the sudden came up with a horrible suspicion I never thanked the site owner for those techniques. Those men ended up totally very interested to learn them and already have in actuality been taking pleasure in them. I appreciate you for simply being quite thoughtful as well as for getting varieties of incredibly good useful guides millions of individuals are really needing to be informed on. My sincere regret for not expressing appreciation to earlier. 10/9/2016 @ 11:42:49 Valuable stuff! Excellent read. I just now forwarded this on 10/5/2016 to a classmate who has been doing a little research of his own on this subject. To say thanks, they just bought me lunch! So, let me express my gratitude by saying: Thanks for the drink! 10/4/2016 @ 12:50:48 says well done michaelczinkota.com!